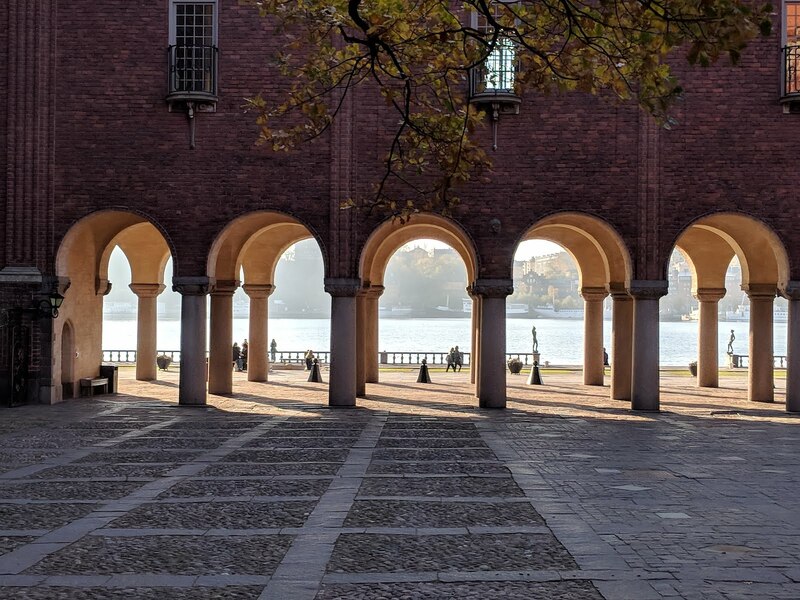 I arrive in Stockholm to an unbelievably sunny and warm autumn day. It’s nearly 20 deg and I have to immediately strip off the many layers I had on, prepared for Scandinavia to be… well, cold. I’ve only got a day and a half here so in the usual David fashion I hit the ground running. Metro line trains are great in Stockholm, but I end up walking most places because I walk so fast that it’s actually quicker and less hassle. 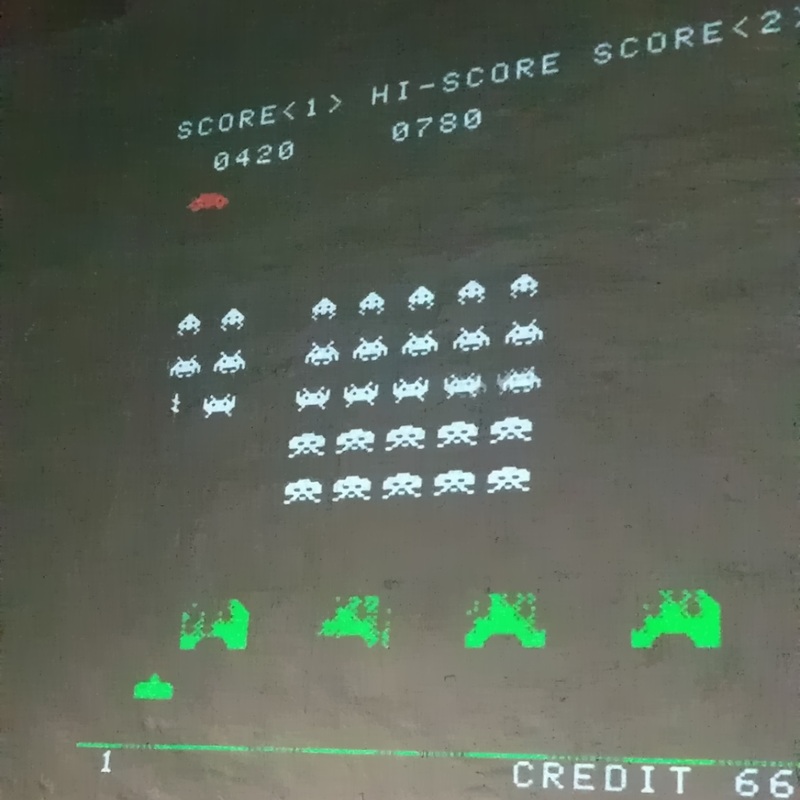 First stop is Stockholms Spelmuseum, the Video Game Museum in the northern Stockholm district of Vasastan. 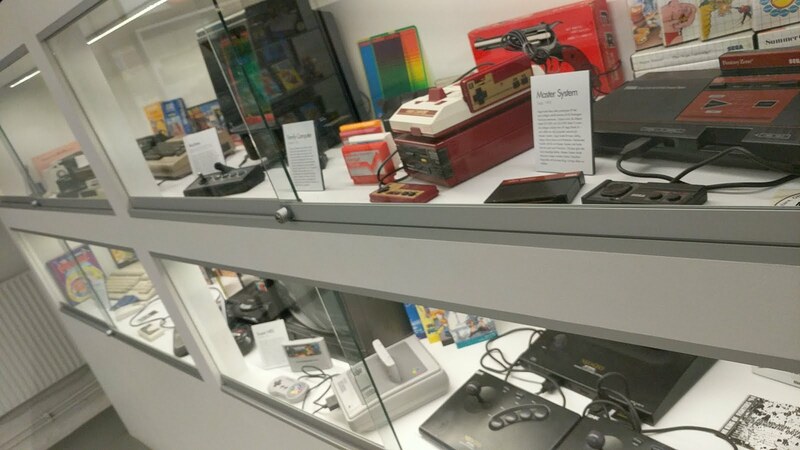 Definitely one of the coolest museums I’ve been to, exploring the evolution of gaming both from a design and technology point of view. Each room is dedicated to a different decade, and contains actual games playable either on the original technology or via emulation with authentic controllers and set ups. I can summarise my visit with the following anecdote. 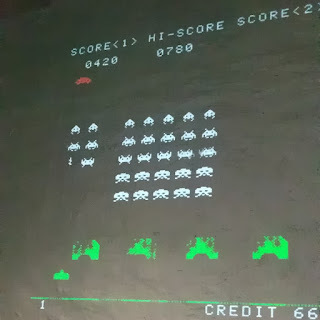 Literally 1 metre inside the doorway, before you even pay for entry, there is an old school joystick rigged up to a projector where you can play the original Space Invaders game… I was there for 10 minutes. Next stop the Stockholms bibleotek. 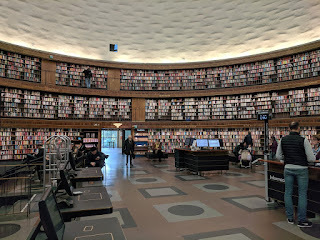 Yes it’s just a public library but well worth the visit for 2 reasons. 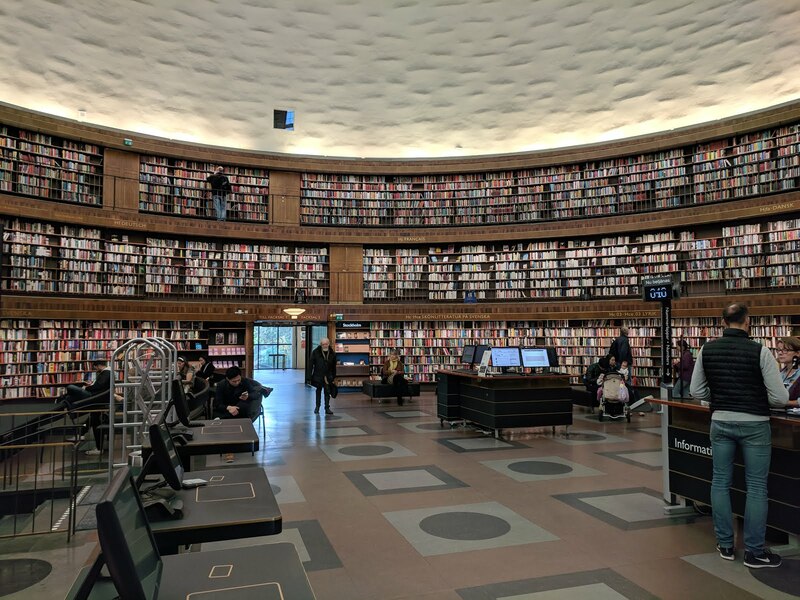 Firstly because the building itself is old and beautiful, and the central dome room is spectacular to see covered in a vast array of books. Secondly because this is a great example of Scandinavia’s focus on education and public services. Libraries and community centres don’t exist in Australia on this scale, especially not public ones, unlinked to universities or other institutes. And just like that it was on to the Ocean Bus, Stockholm’s first and only amphibious tour bus. This was quite the experience, starting on land driving the streets of Stockholm seeing the major tourist sights and then driving straight into the water to see the other islands which make up Stockholm. At one point I was looking around at all the tourists, trying to figure out what random statue or attraction they were all looking at, then I looked down and realised… It’s me! Turns out I had inadvertently become a tourist attraction, but I suppose a 10 ton bus in the river is going to do that. 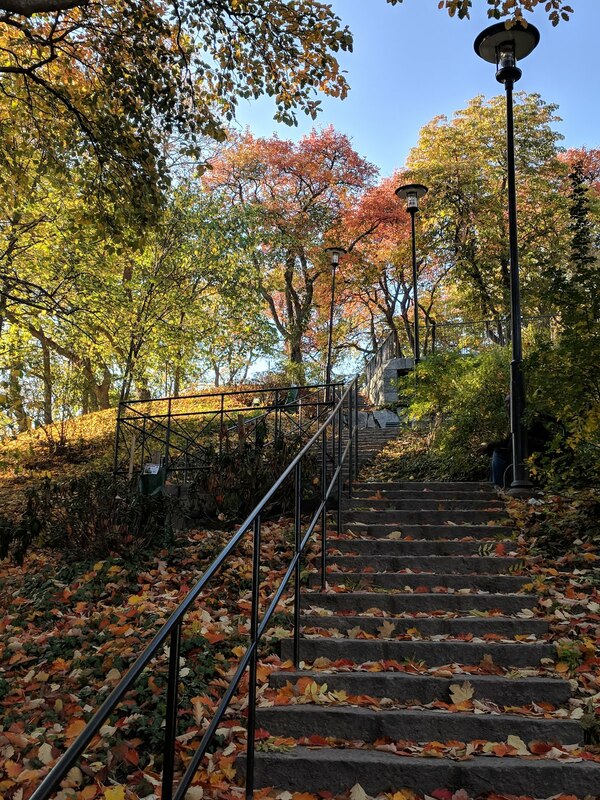 After walking along the cliffs of Monteliusvägen and enjoying a beautiful sunset over Stockholm, I head for Nystekt Strömming, an authentic Sweden street food truck. I ate what I can only describe as a herring and potato kebab… and you know what, it was actually pretty good! 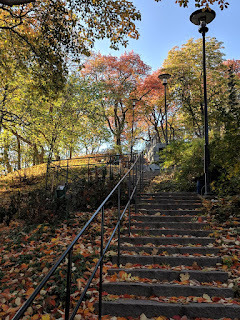 I start my next day with a walk around the island of Kungsholmen. At 10km, it’s not short, but it is a lovely walk which includes visiting the City Hall, great views across the water, and even bush walks and climbing over rocks at the western end. 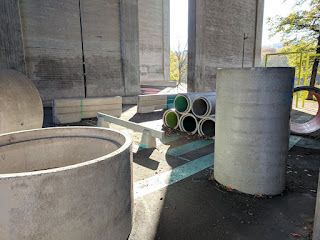 I passed several parks, public spaces and playgrounds during the walk, but nothing cut me so deep as to find a concrete jungle of sorts clearly for older kids to play on. If only Doug was still with me (note: he’s not dead, just back in Canada)- we would have climbed some of this stuff and probably made another video like the Amsterdam sign climb. I guess I’ll just have to come back! After lunch I head to Tantolunden Park, where there is supposedly some great view to be had and an abandoned gun post from WW2. The exact location of this initially eluded me as the park itself is a little weird. It is long and narrow, but with a colony of small houses in the middle that seem to be private property, resembling something of a gypsy village built into the side of the cliff. However once I realised the gun post was called Tantolundens luftvarnsstallning, and that this was on google maps, I managed to get there and the view was 110% worth it! 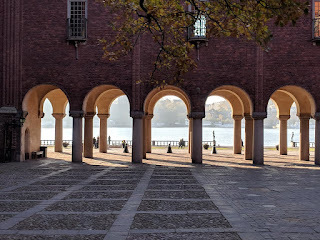 Before going to Stockholm I was doing a bit of research on what the best things to do and see are, as I knew I would only be there for a little over a day and when I’m not organised, FOMO hits hard. 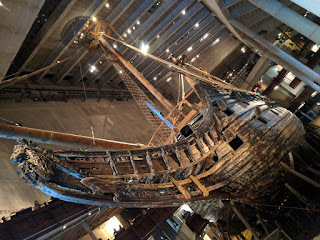 Just about every list I read or website I found suggested the Vasa museum, as did 3 separate friends who had been to Stockholm before, so I figured this was probably something I should see. 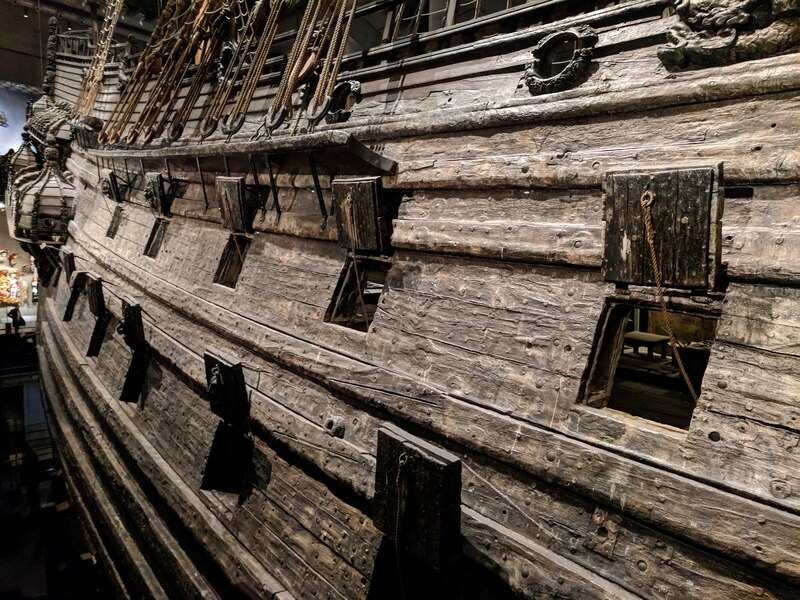 The Vasa was a 17th century ship which was built in Stockholm’s then thriving shipyards. Unfortunately for the crew of the Vasa, it was too grand, too tall and too narrow to sail effectively and it sank 1 km into it’s maiden voyage. Fortunately for us, it’s sinking was relatively well documented and using 20th century search and salvage techniques it was successfully brought to the surface and has been restored and preserved in incredible condition. Using mostly original pieces of the Vasa recovered along with the body of the ship, the museum houses the full ship with less than 5% new material. The scale of this project, and the ship itself, cannot be put into words, but needless to say it is quite the engineering marvel and well worth the trip. The accompanying film and exhibitions in the rest of the museum are interesting and informative about all aspects of 17th century life in Stockholm, the ship building process, and the engineering (and ongoing research) which brought the ship back to us today. 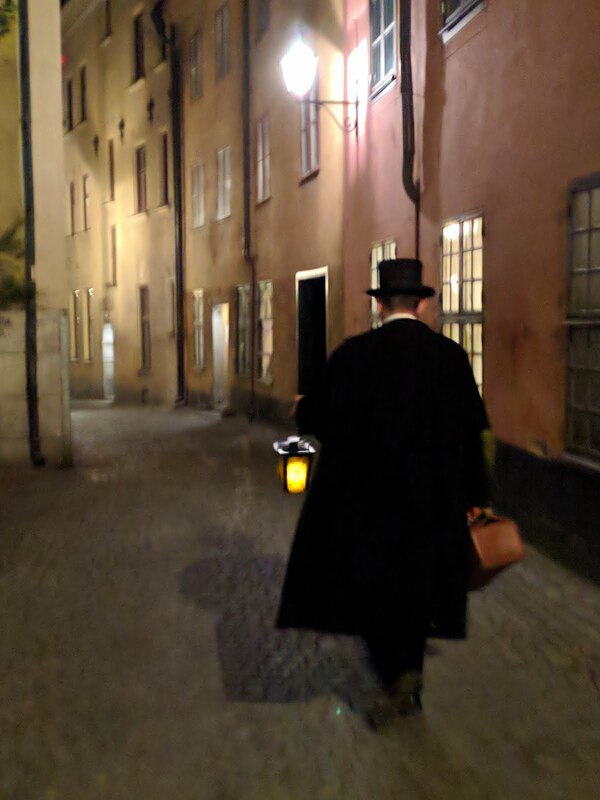 My final stop in Stockholm before the overnight train to Malmo is the Ghost Walking Tour of the old town (Gamla Stan). It is effectively like any other walking tour, except done at night and with a focus on the darker history of Stockholm. Having been a fortified city since the medieval times, a large portion of this history is dark in itself, from crime and beheadings to plague and disease. I have to give an honourable mention to my guide, Callum, for both his knowledge of the history but also his delivery in character as a ye olde Englishman. Entertaining and informative, would absolutely recommend.